The Ligonier Academy of Biblical and Theological Studies (LABTS) and Reformation Bible College (RBC) are pleased to announce our upcoming Inaugural Commencement exercises, to be held on May 17, 2013 at Saint Andrew’s Chapel in Sanford, Florida. We cordially invite all who are able to come join with us in celebrating the work God has been doing in these first four years at LABTS and RBC. This is a very exciting time in the life of the Academy and the College since we will be witnessing the first graduating classes for both. LABTS will be graduating D.Min (Doctor of Ministry) students, while RBC will be graduating students with a Bachelor’s Degree in Biblical and Theological Studies. The RBC Bachelor of Arts in Biblical and Theological Studies is obtained by students who transfer to RBC following an approved amount of study at another institution and complete the two-year course of study required for the degree through RBC. This degree is one of five offered at RBC (the other four being four-year bachelor’s degrees and a two-year associate’s degree). 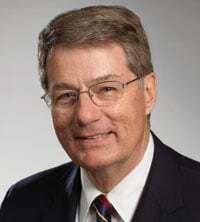 This year our commencement speaker will be Dr. Robert Godfrey. 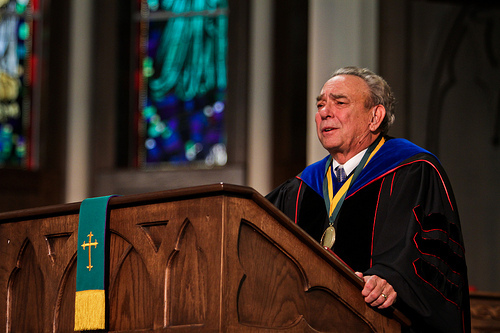 A teaching fellow with Ligonier Ministries, Dr. Godfrey has taught church history at Westminster Seminary California since 1981, where he also serves as its third President. He is a minister in the United Reformed Churches and a speaker at conferences including those sponsored by the Philadelphia Conference on Reformed Theology and Ligonier Ministries. He is the author of An Unexpected Journey, Reformation Sketches, Pleasing God in Our Worship, and God’s Pattern for Creation.